While Thai red beans might be familiar to most diners as an ingredient in savory and sweet dishes, they’re rarely incorporated into cocktails. 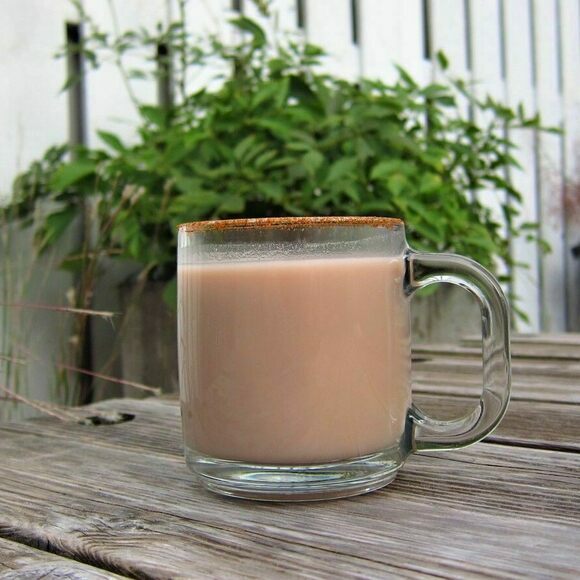 But in Chicago, one bartender uses the nutty legumes in a hot rum drink that mimics a South American specialty. The Toleen is a wintertime offering at The Whistler, a Windy City bar known for its rotating cocktail menu. Warming and with a slightly thick consistency, the Toleen calls to mind the South American corn drink known as atol de elote. Unlike its corn-based cousin, however, this beverage packs the additional heat of alcohol. On top of a smooth, creamy foundation of blended beans and coconut cream, the bartender mixes in rum, vanilla, coconut, Ramazzotti amaro, and bitters. The end result is a sweet and savory cocktail with a South American muse, Southeast Asian ingredients, and a distinctly Chicagoan origin. The Toleen often appears on the Whistler's ever-changing menu when the weather outside is frightful. The multi-purpose venue and bar is the birthplace of the Toleen. Slovakian winters call for a honey-and-bacon hot brandy cocktail. This Canary Islands' specialty upgrades coffee with layers of condensed milk and liqueur. A sweet, warm cocktail to chase away the chill of Andean nights.